Africa is losing many of its traditional indigenous vegetables, displaced by 'exotic' introductions such as cabbage, kale and carrots. Does it matter? Sheila Dillon finds out. 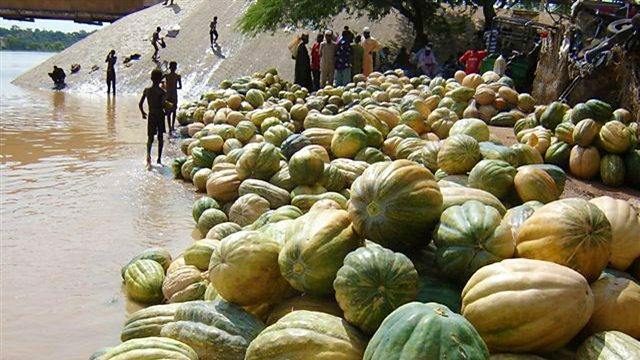 Africa has hundreds of indigenous vegetables, which have been grown, gathered and eaten for centuries. But in the past half century 'exotic' imports have started to displace them; the likes of cabbage, kale and carrots were associated with being more developed, and cosmopolitan, while the traditional foods became food for the poor. So does it matter? Aren't all vegetables healthy? Sheila Dillon looks at a project run by Bioversity International in Kenya to increase the availability and consumption of Africa's indigenous green leafy vegetables. She finds out what role many people believe they can play in solving some of the continent's most pressing problems, including malnutrition and crop failures due to global warming. Indigenous vegetables are nutrient-dense compared to their replacements. They are particularly helpful in supplying vitamin A and iron - both of which are commonly lacking in the African diet, which has become increasingly westernised - and lacking in nutrients. Indigenous plants are also perfectly adapted to the local weather and landscape, able to withstand the droughts common to many parts of the continent, and likely to become more widespread with global warming. Getting the plants to urban shoppers today requires involving commercial farmers, and they require more reliable and uniform seeds than have been traditionally gathered from the wild. Peter Hanson is leader of Vegetable Breeding at AVRDC World Vegetable Centre in Taiwan, responsible for overseeing the breeding of these new seeds. Sheila is joined in discussion by Pablo Eyzaguirre, senior scientist at Bioversity International, which is carrying out work in Kenya and around the world promoting biodiversity of agriculture and diet, and Dr Einir M Young, head of sustainable development at the the Welsh Institute for Natural Resources at Bangor University, which is involved in the production of the recently-published African Indigenous Vegetables in Urban Agriculture.